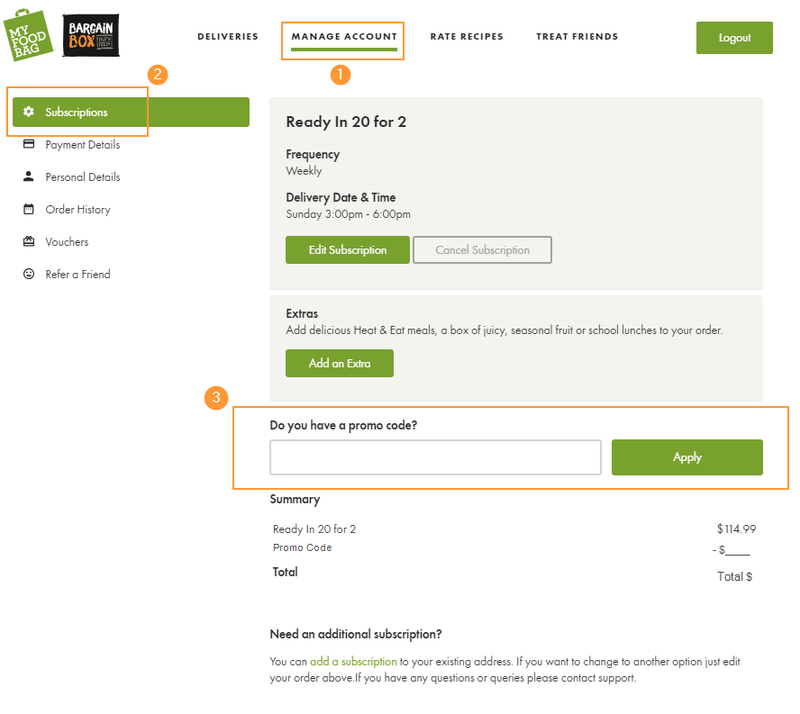 It’s super easy to enter a promo code within your account. Simply log in to your account here. 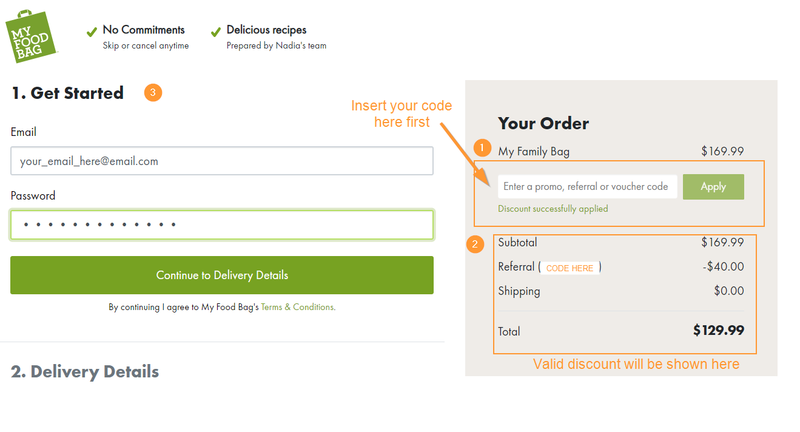 If the code is valid, the promotion will attach to your next unlocked delivery. 1. Select 'Order Now' on the bag you're interested in, or select 'Sign up' on the website. 5. Fill out the 'Get Started' section and proceed through the order process.